Welcome to Thursday and another awesome new Hustle release. And this one’s not only about absolutely cracking new third party integrations, but also about how you can now manage your entire email marketing campaign right from your own WordPress install, giving you full control and saving you a heap of cash in the process. So first up (and before we get to the really exciting stuff!) your favorite email opt-in plugin Hustle now has another two great integrations with full Infusionsoft and Mad Mimi integrations, so if that’s your thing, your favorite email / CRM service is just a click away! Hustle has added Infusionsoft and Mad Mimi to its growing list of integrations. But the real magic for once isn’t in the integrations – it’s in what the plugin can now do for you all on its own. One of the most significant requests we’ve had for Hustle has been to allow users to easily collect emails in a local list (rather than using a third party service), so naturally we built it for you. How you can easily collect emails in a local list instead of using a third party service. All you have to do is set up a specific opt-in using our awesome and amazingly easy wizard (honestly, so proud of that one!) and select Save emails to a local list. Couldn’t be much easier, eh! And, of course, Hustle allows you to have as many different opt-ins as you like, all of which can have different – or the same – integrations… so you’re not locked in. And when it comes to viewing and managing existing subscribers, well that’s nice and easy. Hustle makes it easy to manage your email subscribers. Of course, unsubscribes and alike all work just the same as they would in any mainstream email list. But perhaps the nicest aspect of this new feature is the capacity for you to simply export a CSV of all of your subscribers at any time. So if you want to put them into a CRM or third party service, now you can! Oh yeah, this is something I (for one) am seriously excited about because I know how many of our members like to take control of their own destiny… and email lists. You asked, we listened: Hustle is now fully compatible with eNewsletter. 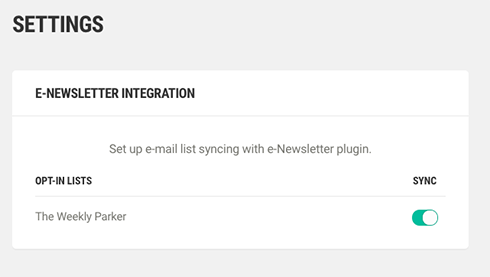 In your brand new Settings menu (also happy we’ve managed so long without that), you just need to turn on the e-Newsletter integration for the list you are looking at. And what’s even better, you don’t even need to be using a local list – you can add your emails to MailChimp AND save them in Hustle AND e-Newsletter. Robert is your mother’s brother, right? After which all you have to do is select the e-Newsletter groups and Robert is your mother’s brother. All of a sudden you are free from the shackles of the third party newsletter provider and roll your own marketing material entirely within WordPress. And, of course, as with everything here at WPMU DEV you can both try out AND keep both Hustle and e-Newsletter with our completely free, no-strings-attached, we-know-you’ll-love-it 14-day free trial. And as ever, please feel free to let us know your feedback and more feature requests in the comments. Do you use Hustle? Got a feature request? Let us know what you think of Hustle and the new integrations in the comments below! Mr. Farmer, it’s great to see the continued development of Hustle. I’m looking forward to seeing more integrations (Gravity Forms and MailPoet are my targets here), as well as a general content area so it can replace the Pop-Up and Slide-In plugins. Since you mentioned eNewsletter, is there a chance that plugin is going to receive a similar upgrade? It has been lagging behind in features for a very long time and there are many threads in the plugin support forums to have it updated to modern standards. Would be nice for that plugin to have more attention and effort put into it. eNewsletter revamp isn’t a priority right now, most members using it are pretty happy with the current feature set (or are not terribly vocal to the contrary), as you know from our past conversations we work on the most popular requests prioritising what our members ask for. 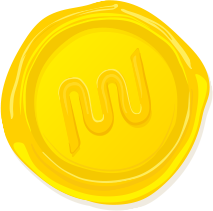 Whilst there might be an accumulation of tickets over time our focus is where members need us, that includes plugins like Hustle, Smush, etc. If we could get integration with ConvertKit that would be so fetch. I’ve been thinking of starting with eNewsletter, but after reading up on the forums I’m far from sure I want to do that. A lot of people are complaining that it’s not been updated for along time. Is it next now that you integrate with Hustler? It’s actively maintained for any bugs or security issues. Great to see the e-Newsletter integration. Without having tested, does anyone know if Hustle will consolidate to a single list on a multi-site? For example, let’s say there is a main site and 5 x sub.sites. Can a registration on a sub.site be added to the subscriber list on the main site rather than having six separate lists? This has been a long term challenge for me with the existing tools I use (Layered PopUps and MyMail) where I need to constantly import the registrations from the sub.sites. What would be awesome would be in you could have an option that could disable the newsletter feature and just use it as a lead request opt-in so the user could leave there phone number and a message also. And then on top of that, have the option to double up and have them contacting me would also subsribe them to the newsletter. Any chance of that happening? as still remains our basic feedback source and love the engagement between members. We have just added new integrations (those that James wrote about in his article) and we are always looking to further develop Hustle even more so thank you for suggesting Active Campaign! This is great! Do you think we can add SharpSpring integration? You name it :) We have just added new services and I believe there’s plenty of room for more of them. Thank you for suggesting a new one! Awesome guys. I really hope that you’re going to add ActiveCampaign support so I can use this too. Cheers! It’s a great plugin for sure ! Do you think you will add “Send In blue” integration in the future ? I would love a SharpSpring integration as well! A bit ironic that they finally integrate E-Newsletter just in time to kill off E-Newsletter! Or am I the only one who can’t find it in the available plugins list?? ?